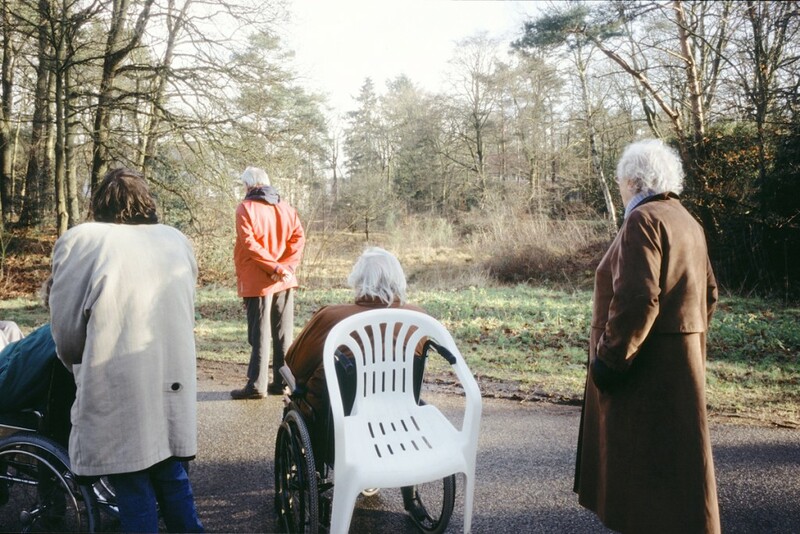 A group of people go for a walk in silence, with one white plastic patio chair. Before leaving everyone briefly introduces themselves by shaking hands and telling their names. Leave phones and other electrical devices behind, except for one photo camera. All participants take turns in carrying the chair. The one who is carrying the chair searches for a place where he/she would like to sit. 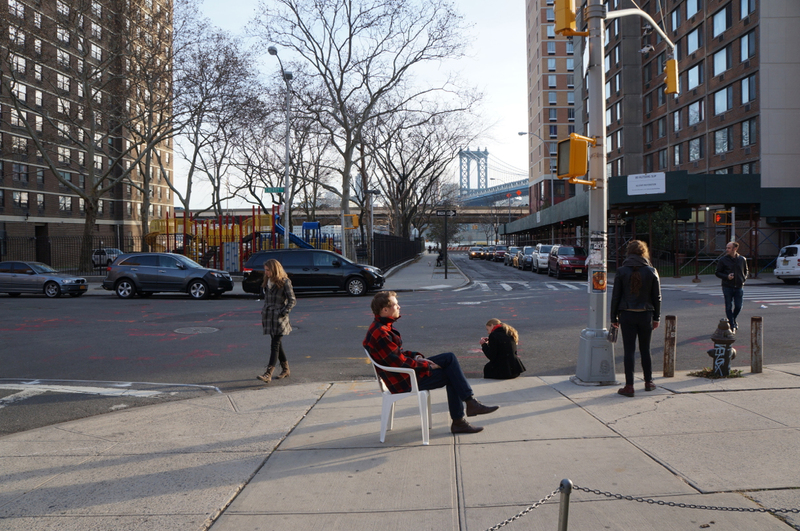 He/she puts the chair down and sits for a while, at least for a few minutes. Everyone will observe the place, space, view, each other, passers-by and him/herself. After that they continue the walk with someone else carrying the chair. The walk takes at least 1 hour. It is necessary to set an alarm to know when the walk ends. Then everyone can start talking again and walk back to the place of departure. The group consists of 5 - 8 persons carrying one white chair. The group takes one camera and each participant takes a few pictures, taking turns, after sitting on the chair. Make sure to photograph the place, the sitter and the others in the group as well as details that catch your eye. After the walk everyone shares his experience with the others in the group.